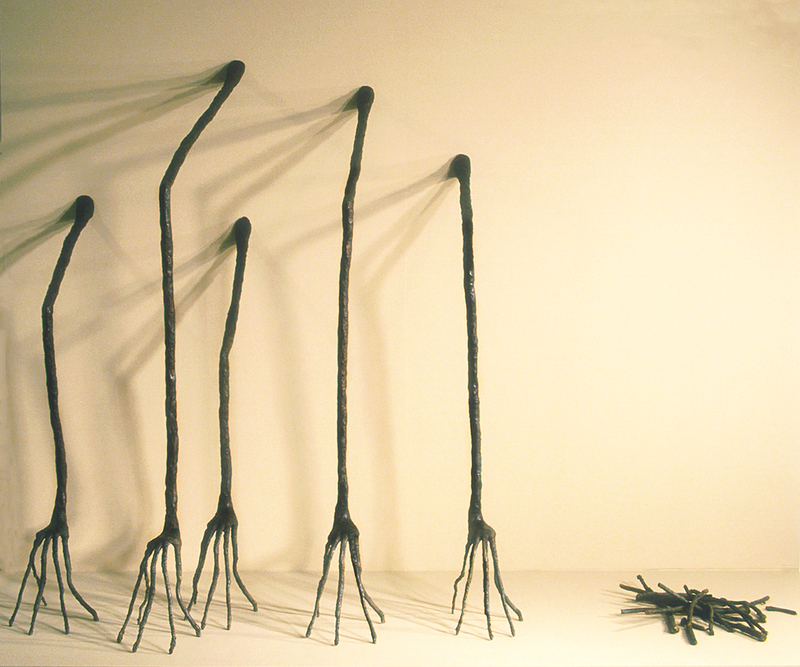 Five bronze appendages jut outward from their support, concluding with root-like fingers. The hands are firmly grounded to the floor, while a pile of “fingers/roots” lie fallen apart at the right. This piece speaks to abrupt, but inevitable transitions we all face at some point in our lives. More personally it refers to my migration to Australia.